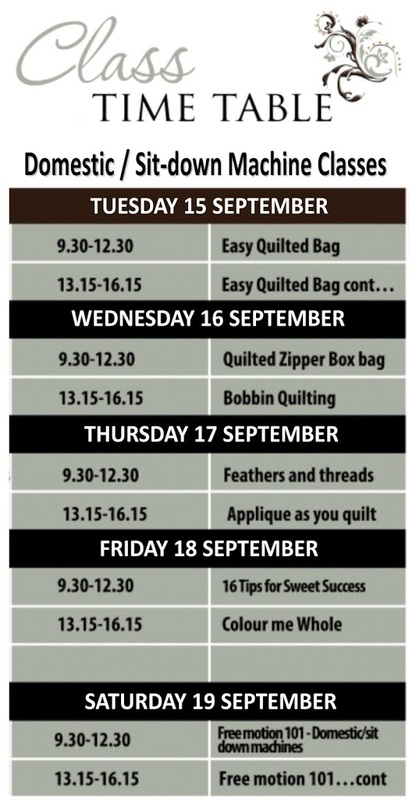 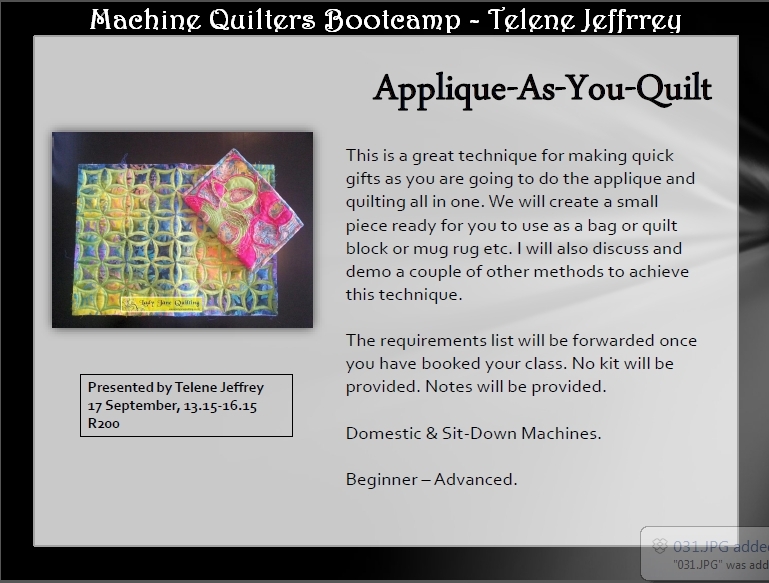 I’m honoured to have been asked by Claire Wallace of Quiltastix to teach alongside her and Sue Patten from Canada for a week in September at MACHINE QUILTERS BOOT CAMP. 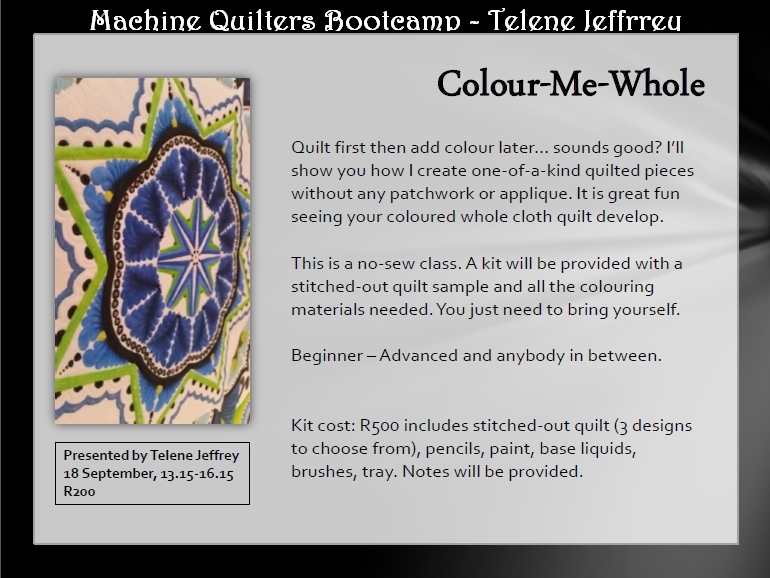 All the detail is below. 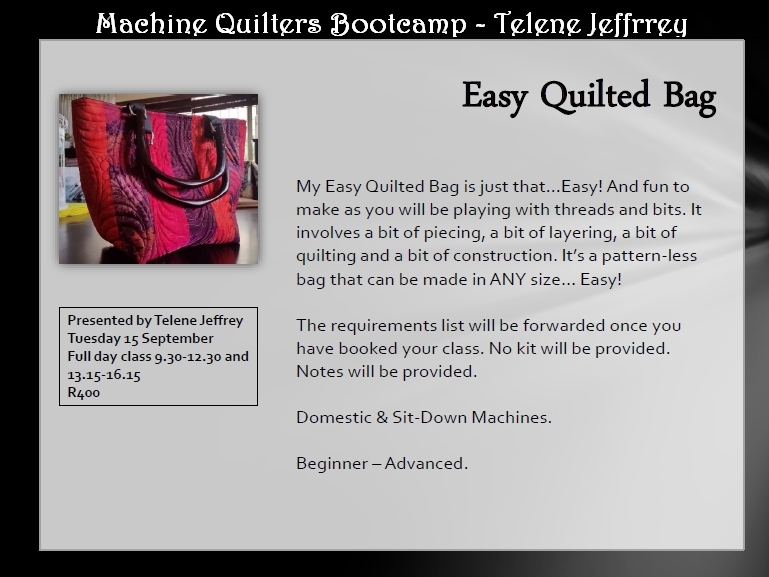 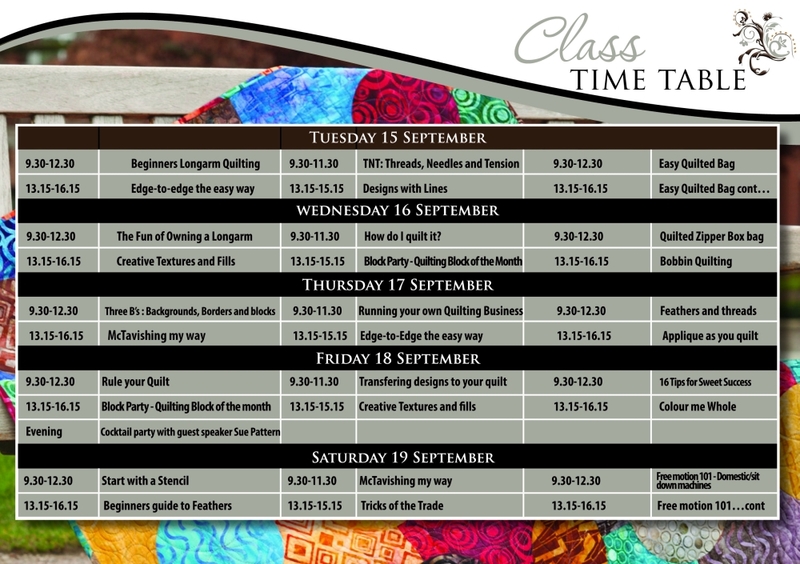 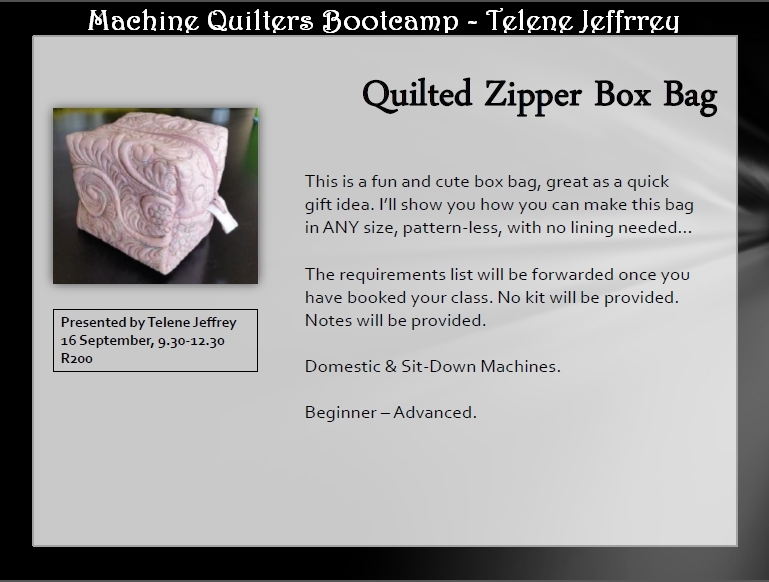 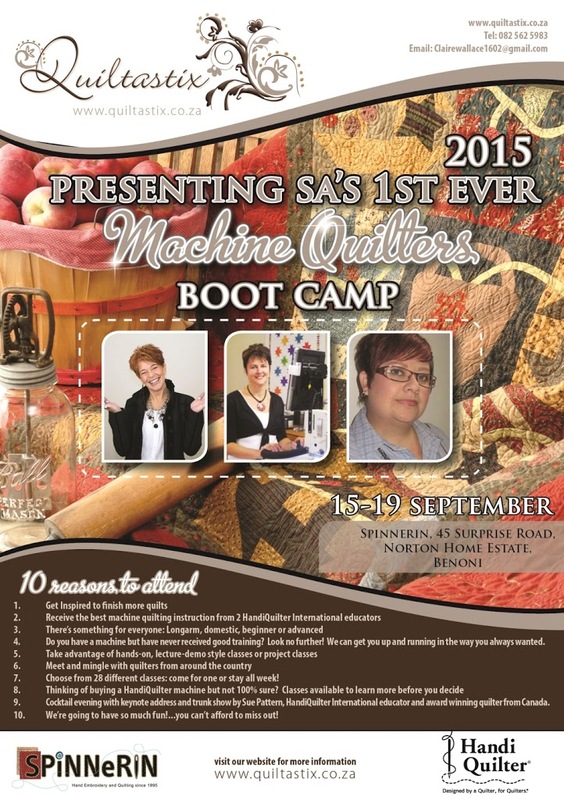 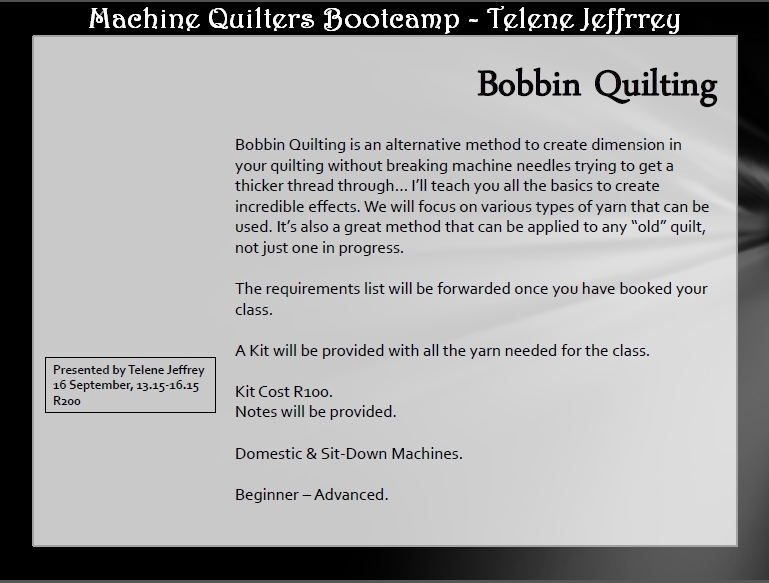 To book, please visit www.quiltastix.co.za.